The advice given to most authors is “write what you know about.” In Travis Johnson’s case, it’s entrepreneurial enterprise. Johnson has been at it since age 13, when he was selling homemade air fresheners to convenience stores. For 16 years he headed MicroServ, one of Idaho Falls’ first Internet Service Providers. 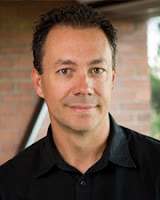 Since selling the company to Colorado­-based JAB Broadband in 2013, he has devoted his attention to commercial real estate management, small business investments and writing. 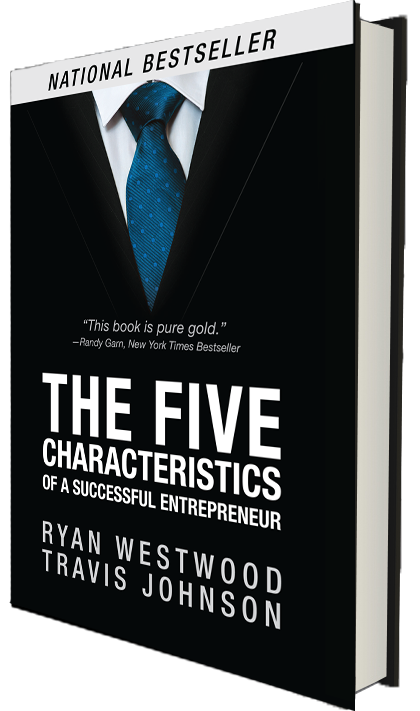 On Friday, Johnson and his JW Capital partner, Ryan Westwood, released their first book, self­published, “The Five Characteristics of a Successful Entrepreneur.” While the book is based on their own experience, it also incorporates the results of an e­mail survey they sent out to more than 100,000 CEOs, with responses from 2,631. “The number one thing was vision,” Johnson said. In fact, it was the only characteristic that was identified as essential to success by a majority of the respondents. Vision stood apart from the other four characteristics: work ethic, resilience, positivity and passion. It was picked by entrepreneurs who had been in business for more than 16 years as often as it was picked by those who had been in business two to five years. In fact, the least likely group of respondents to pick vision were the ones with less than a year of experience. An entrepreneur with no vision — e.g., someone who can’t say whether they want to retain 10 clients or recruit 10,000 in the coming year — is courting stagnation, frustration and failure. Likewise, someone who puts off defining a vision may be able to sustain the business for a long time but will be unable to see the kind of steady growth and achievement that investors hoped to see. Everybody is going to have a different definition of vision, Johnson said. One person might be looking two years into the future while another might be looking ahead 10. But the book offers a process called V2MOM. That acronym stands for the five components: vision, values, methods, obstacles and measures, all of which must be defined thoroughly to open a path to success. Johnson was not thinking about selling MicroServ when JAB Broadband approached him about buying it. Once a deal was set in motion, the sale took 60 days. It was a full-­on stock sale, one of two that JAB has done in its acquisition of small ISPs around the Rockies, and what was surprising is that the due diligence uncovered no issues like HR claims or pending lawsuits. It’s an open question as to whether someone can be taught to be a successful entrepreneur. Just because someone is a skilled cook doesn’t mean they have what it takes to run a successful restaurant. When they invest in a company, Johnson and Westwood take an active role. “We’re more like partners in the business ranter than handing them money,” Johnson said. In the case of EcoFlower, a company in West Haven, Utah, that manufactures hand-carved flowers made out of wood, sales went from $9,000 in 2014 to $1 million in 2015. The company now has an 8,000­ square­-foot warehouse and 30 employees.